Help Documents - Version 5 Group Registration SetupHow do I enter registration instructions for registrants? Registrants can register as Individuals or in Groups. 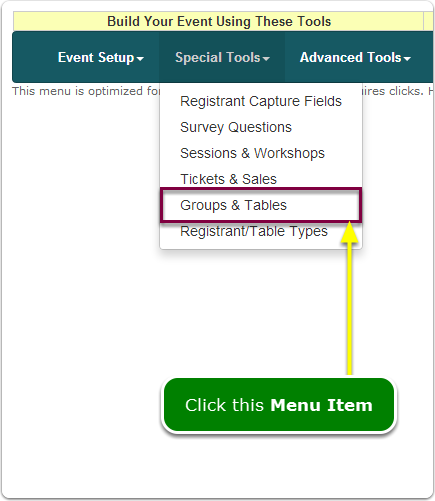 While individual registration is simple and intuitive, sometimes group registration options become a challenge because of the complexity of your event's needs. 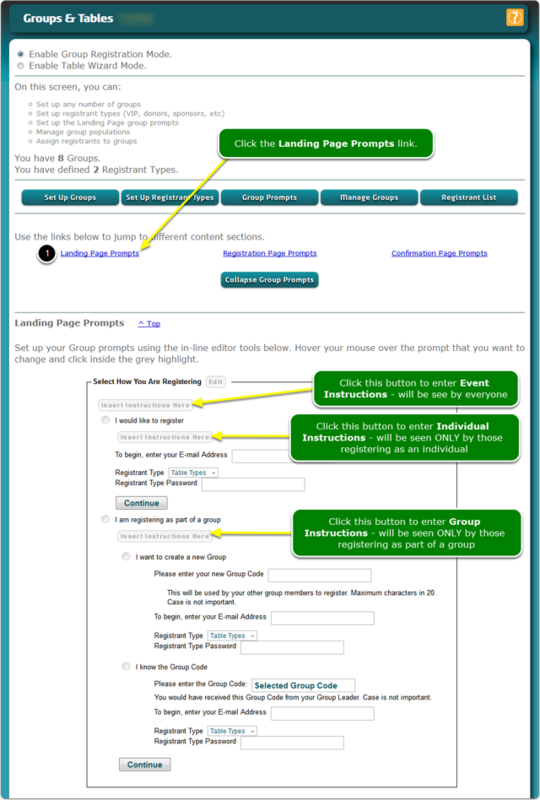 We provide a method for you to add instructions to the area where the registration mode is selected on the Landing Page. 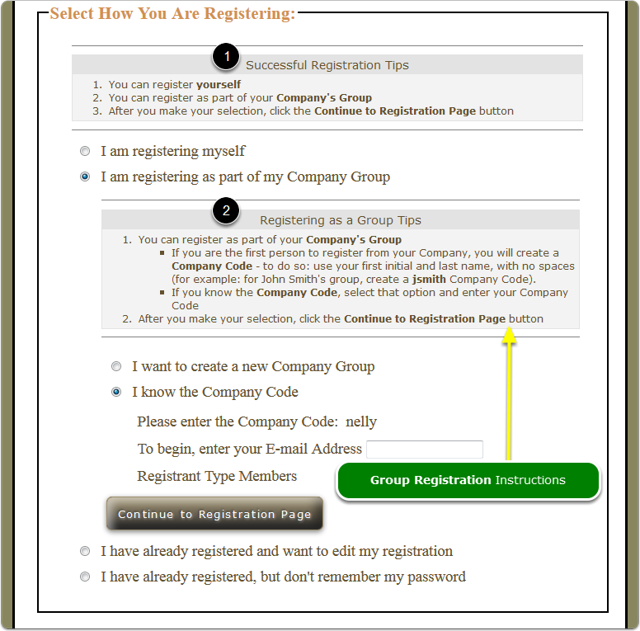 Instructions can clarify to the registrant what and/or how they should register. Where do the registration instructions display? 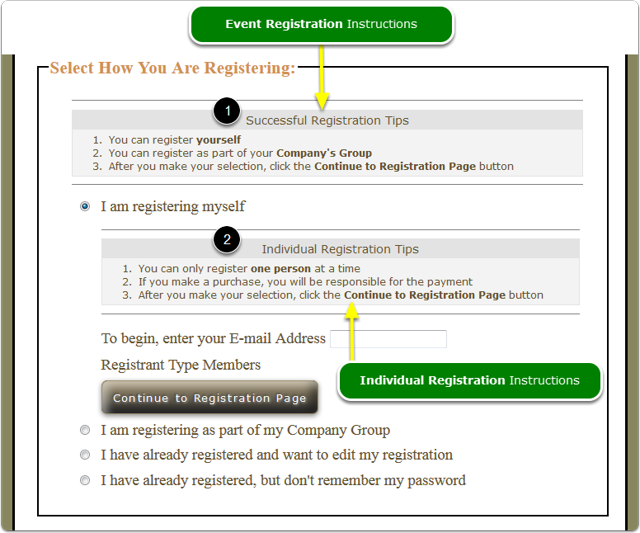 The registration instructions display on the Landing Page, the first screen that every registrant views. There are 3 different versions of the instructions, depending upon the complexity of your event's needs. You may not need to use all 3 versions. See the next two screenshots to see exactly where these instructions are displayed. The registrant instructions are displayed and entered on the Landing Page. First of all, know that registrants are in a hurry and have no time to read instructions. Typically, they don't read screens. So you're starting out at a disadvantage. Therefore, it is your challenge to write SHORT instructions, at the 3rd grade level. Good luck! Use the K-I-S-S concept ... Keep It Simple, Sweetie. 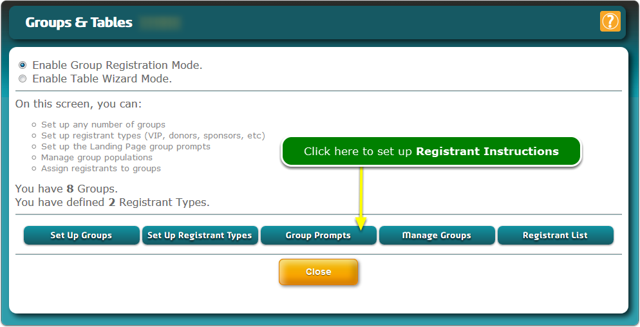 Prev: How do I manage group registrants? Next: How do I turn on the Group Leader Nav Panel and Group Leader Dashboard?